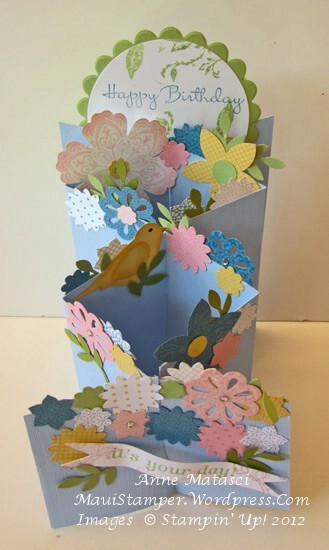 No supply list – it’s any and all paper and texture stamps you have around plus every floral punch you own (and the XL Bird). Pull out EVERYTHING and you’re ready to rock and roll! 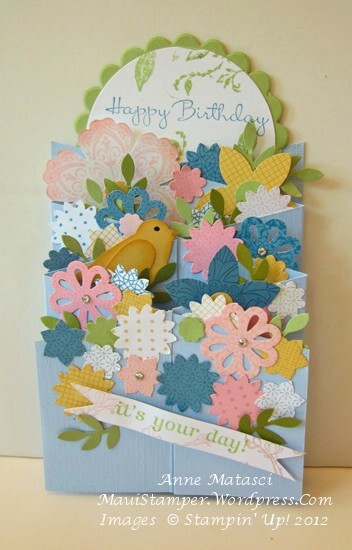 I encounted this card on Pinterest and you can see Sonia’s post HERE. 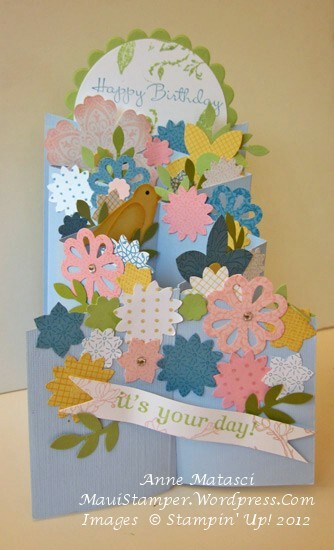 She offers a tutorial for the card, and shares how thrilled she was to have it published in Papercraft Inspirations. Prety fabulous stuff, if you ask me! Wow!! This is simply stunning. Thank you for sharing. Oh Anne, this is just gorgeous….. I love the look of a walkway of flowers. Is she selling the tutorial? This is something I gotta try…. Thanx for sharing your wonderful creativity…..